Romanian game developer Alien Pixel Studios has released an announcement trailer for their new platformer, Unbound: Worlds Apart. Described as a "dark fairytale", Unbound follows main character, Soli, on their journey to uncover the secrets behind the disaster that befell their world and ruined their homeland. The trailer features the game's signature art style, atmospheric environments, and Tim Burton-esque character designs. However, it also shows off Unbound's primary mechanic: reality warping. Soli has the ability to create a sphere around them that acts as a portal to another dimension. This other world operates on different laws of physics, and certain abilities in the main world will be completely different on the other side. Sometimes, this portal reveals a way around an obstacle in the main world or uncovers secrets about objects that can't be seen normally. Other times, though, it contains new enemies and traps, introducing an element of strategy in how players will overcome the challenges Soli faces. 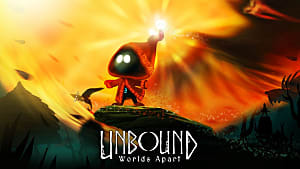 Unbound has been in development since 2016 when Alien Pixel developed an idea based on a character who could cast a magical sphere around himself. It's easy to see how far the game has progressed since its first concept trailer. In fact, Alien Pixel said followers can expect a demo release later this spring. Bringing Unbound to Kickstarter will not only give us a possibility to finance the development of the game, but it will also keep us on our toes and ensure we are committed to our community. We see it as a promise to our players to deliver the best game we possibly can next year.